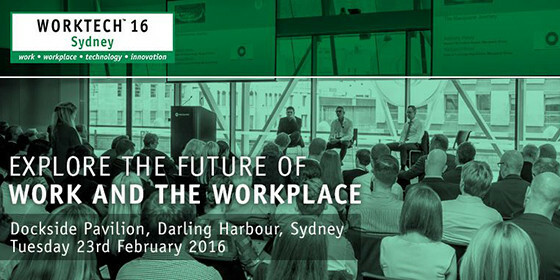 Calder Consultants is excited to announce that our Senior Strategist, Andrea Egert, and Atlassian’s Gina Creegan, Senior Programme Manager, Workplace Experience, will be presenting at the WORKTECH16 event in Sydney on Tuesday 23 February 2016. Entitled ‘Unleashing the Potential in Every Team’, Andrea and Gina’s presentation, based upon Atlassian’s mission, will outline for attendees the value that Atlassian places on teams and how it is redefining business collaboration for its customers as well as its own teams. Andrea and Gina will also focus on the importance of culture, agile processes and flow, whilst showing how Atlassian’s workspace is evolving and enabling teams to build great software in a truly dynamic environment. WORKTECH16 Sydney provides attendees with global insights and the latest thinking on the future of work and the workplace, from the perspective of both people and technology. With a diverse line up of thought leaders from the architectural, real estate, technology and executive management fields and professional advisers, WORKTECH16 Sydney offers the opportunity for attendees to further their expertise in this constantly evolving industry. Calder Consultants is proud to be a Silver Sponsor of WORKTECH16 Sydney and look forward to being a part of this informative and innovative forum event. Click here to learn more about Atlassian.